Today’s post is from the wonderful Alana over at Rockstar Preemies. When we were discussing the topic of her guest post, we originally thought it would be fun to do a funny and light-hearted piece on the top five things no one told us about prematurity. But, we quickly realized there is one thing that no one told us about prematurity – and it’s not funny at all. Post-Traumatic Stress Disorder (PTSD) is a real challenge for parents who have experienced premature birth. My PTSD flares up the most in the weeks surrounding Jax’s birthday. I still panic at the sight of a helicopter. When I hear an alarm, I’m instantly rocketed back to the days in the NICU when Jax was fighting so hard to live. Now that we are struggling to find answers with Jax’s brain tumor and other things, it’s like we’re being thrown right back into the thick of things again – the uncertainty, the fear, the loneliness – it’s all real. If you’re a parent who is experiencing PTSD after a traumatic or premature birth, we hope this article helps you realize that you are not alone. As far as outcomes go for people who have twins at 25 weeks gestation, I consider myself to be one lucky mama. Yes, we had an almost-four-month-long NICU stay, and yes, my daughter had a brain hemorrhage and hydrocephalus and two brain surgeries, but we are here now, two years later, and my children are meeting all the milestones and running and laughing and saying hilarious toddler things, and I think, thank goodness. Somehow, we made it. I’m grateful. But being grateful hasn’t made up for the pain like I thought it would. I was caught off guard when certain things started happening to me much later than I ever thought they would. Sadness. Anxiety. Flashbacks. Panic. The feeling like my children are not okay, even though they totally are. The feeling like I am not ok. That I won’t ever be okay. I started seeing a therapist about these all-consuming feelings, and she began to talk about the long-term effects of trauma. About compartmentalizing and dissociation and the things we do for survival. The way we manage to keep ourselves from feeling things when we have to somehow not feel those things, only to have them come back again, barreling in, when the dust has settled and it’s safe. I vaguely heard about this when the twins were still infants, and shrugged it off. Not me. We’re ok. We got lucky. We’re happy. Besides, PTSD sounds a little intense. War veterans get PTSD! 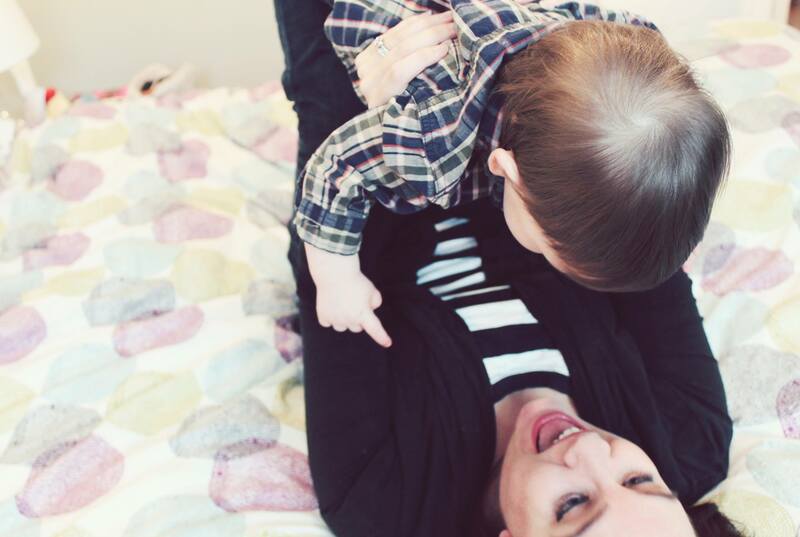 I’m just a mom whose kids came out too soon. That’s not that bad, right? I recently found some videos on my hard drive from when the twins were first home. They looked so sweet and fat and squishy and smiley. We were laughing in every single one. We were overjoyed. But watching those videos now hit me like a punch in the face. I should have felt happy, should have found them cute, should have been brought back to those special moments when we’d finally made it home and our babies were healthy and safe. Instead I felt like I couldn’t breathe. All I could see was the ventilators breathing for them, the tubes that fed them, the monitors that beeped, and the incubators that kept them warm. I saw babies who used to cry without making a sound. Babies I wished could have stayed in longer, where they would be safe from heart murmurs and brain bleeds and surgeries and IVs and blood transfusions and regular head ultrasounds and possibly dying from something nobody could control. I’ve always felt like the gift you get as a NICU mom is the ability to somehow shut off part of your brain while your child is still sick and in the hospital. Somehow, you just go a little numb, and you stop feeling all the bad, scary stuff so that you can do what you need to do and be there for your baby. It helps get you through. It helps keep you in one piece. But I realize now that, sometimes, that gift is only temporary. When enough time passes, and the dust settles and everything is okay and you don’t need part of your brain turned off, it turns back on again. And everything you didn’t feel at the time comes right back when you least expect it, like when you’re watching old videos you could have sworn were happy memories once upon a time, but now you can’t remember ever feeling anything but afraid. As mothers, we spend our lives trying to do whatever we can to protect our children, keep them safe, to guard their little hearts from pain, to give them everything we can possibly give them. And seeing my former 25-weekers today, happy and healthy, I think I’ve probably done a pretty good job so far at doing that. But when a baby is born premature, it doesn’t just affect the baby, it affects the entire family. And learning how to deal with the fallout is a process that can take longer than anyone prepares you for. They say that prematurity doesn’t end at discharge, and now I’m realizing why. Alana Romain is a writer and mother to a set of hilarious toddler twins who were born at only twenty-five weeks gestation. You can find her on Twitter, Facebook, Instagram, and at www.rockstarpreemies.com, where she writes about prematurity, motherhood, and living life with two at once.